We've been overwhelmed recently with the number of authors asking us to review their books or do a promo for them. We would love to read every request we get but unfortunately that's not possible so we've come up with "New Author Week"
The idea of New Author Week is to spotlight authors that are new to us. We will spotlight 4 authors each day for 5 days. 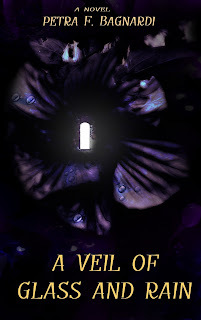 For each book there will be an excerpt, details of the author and an ebook giveaway. The giveaways are only open for a day, so be quick when entering! Winners of the giveaways will be announced on Sunday 14th July. If New Author Week is successful we will run more in the future. Katy Warren thought her life was perfect. Then her new husband, and also high school sweetheart, gets discovered while theatre acting and gets swept away to Hollywood. Once there, things change. Liam throws himself into the Hollywood life and ignores Katy. "Babe, let's go! I have to be to the theater in 30 minutes!” Liam yelled from down the hall and I took one last look in the mirror and ran towards him grabbing my sweater along the way. "Ok, ok....I'm ready! Are you nervous about tonight?" I asked him grabbing his hand and walking towards our little rundown car. He took a deep breath as he fiddled with the keys in his pocket and opened each door. "I don't know. I mean, everyone is talkin' about the Hollywood scouts being in the audience tonight. It would be amazing to be noticed by them, you know? The theater isn't horrible by any means," he smiled softly and started driving towards the theater. "But you can bet I'm going to do my damned best tonight." I laugh and squeeze his hand. "You do great every night baby, that's why EVERYONE is always talking about you and why everybody keeps coming back to watch you over and over. I'm very proud of you, you know." He flashed me a wide grin and we drove the rest of the way in silence. Once we arrived at the theater, Liam gave me one last kiss and looked towards the backstage. "Here goes nothing," he whispered and squeezed me tight. "Good luck! Not that you need it." I smiled and waved at him and went to find my seat. All around me people were buzzing about the Hollywood people being here. I didn't see anyone that really screamed Hollywood Exec to me, but I was positive they were somewhere with a great seat of the show. Around an hour later, the show started and everyone sat riveted to the actors. I felt just as nervous as they did as I noticed them sneak a glance in the audience for the scouts. Liam really did do an even better job tonight then before if that was even possible. After the show, I ran backstage and gave him a tight hug and quick kiss. "You did great babe!" I whispered in his ear as some people I didn't recognize moved through the crowd and stopped in front of us. "Mr. Warren? I'm Mitchell Fallon, I'm a talent scout for Excite Entertainment of L.A and we would really like to talk with you,” he smiled and I felt Liam take a deep breath. "Uh, yes sir, where would you like to talk?" He asked as he grabbed my hand. "There's a meeting room down the hall. We can talk....privately," he muttered looking down at me like I was some kind of groupie. I raised my eyebrow and smiled softly. "Mr. Fallon, I'm Liam's wife." I emphasized the last word and looked him in the eye. "I'm sure it would be ok for me to sit in on the conversation?" "Oh...yes, of course," He nodded and walked ahead of us. "Is this really happening?” Liam whispered leaning into me. I giggled and nodded. "Uh-huh....I think it really is." A couple months later, everything was happening in a whirlwind. There were contracts, photo shoots for head shots, interviews and script readings. It didn't take long for Liam to have a large entourage and for me to be pushed into the background often. One night, Liam came home from yet another company hosted party, obviously trashed and I looked over at him shaking my head. "Liam, what the heck is happening?” I asked tucking a loose strand of his hair back. "What do you mean?” he slurred and flopped over on his back. "We're living the life baby!” He laughed and pulled a blanket up and over his face. I gently pulled it down and looked down at him sadly. "What if I don't want this life? What if it’s just not what I pictured for our lives?" He snorted and rolled over. "It's all part of the package baby, get used to it." The very next night when I came home from doing some sight-seeing, I found our home overflowing with drunk women, and many of them hanging all over my husband. Not to mention a bunch of people standing around smoking and drinking who knows what. "Liam Elliott Warren, what the hell is going on?!" I yelled storming through the room shoving half-dressed girls out of the way as I went. "We're hosting a party! You know, rubbing elbows and all that," He smiled and took a sip of wine from his glass. "Are you kidding me? You have women all over you right now...." I shook my head and started for the stairs. "Where are you going, Katy?" He asked leaning against the couch. Taking a deep breath, I wiped my eyes and looked directly at him. "To our room, and I'm going to pack a suitcase. If this "party" isn't over in the next couple of hours, I'm leaving. I can't do this." "Baby, you know I love you, right?" He asked and took a step towards the stairs and motioned his arms around. "This is just business." I sniffled and shook my head running to our room and started shoving my things into a large suitcase. Several hours later, the music was still thumping, and girls were still giggling and I could hear Liam murmuring to them. He didn’t even bother to come and talk to me. By the time I came out of the room around nine the next morning, the house was a disaster and there was a note on the table from Liam saying he had left for set to start filming. "I'm leaving. I hope you have all the successes you've ever wanted. I won't be along for this crazy ride. Goodbye. Love, Katy"
With one final look around, I rubbed some tears away and walked out of Liam Warren's life. Brina and Eagan meet for the first time when she's nine and he's fourteen. They like each other from the very beginning, although their bond isn't immediate, but it grows over the years. What links them is the fact that their parents are photographers and are extremely devoted to their work and to each other; so much so that both Brina and Eagan have to learn how to take care of themselves from a very young age. Despite their differences, age, gender, nationality, Brina is Italian and Eagan is American, they find comfort in their growing friendship. Then Brina becomes a teenager, and her feelings for her friend start changing and deepening. New desires stir within her. On a warm, summer day, the two friends rest in a park, surrounded by the shades of the trees; then Brina kisses Eagan, while he's sleeping. Scared by her impulses and actions, Brina realizes how her feelings complicate her friendship with Eagan, therefore she runs away from him. A few years later, Brina is twenty and Eagan is twenty-five, they find one another once again. Brina is studying cinema in Rome and she's also trying to become a musician. Eagan begins to work as an architect in the same city. Eagan wants to be a part of Brina's life anew; he wants to know her new friends and, most of all, he wants to listen to her singing and playing her guitar. Brina, however, is still in love with him, and she finds it difficult to act merely as a friend, therefore she keeps pulling away. The first time I saw Eagan, it was through a veil of rain. The garden was dotted with small and big puddles. I jumped around them, pretending they were black holes that could capture me, if only I grazed their surface with the tips of my feet. Eagan was carrying a deep-purple umbrella. I stared at him from the edge of a huge puddle. He stood on the opposite side and for a few seconds we considered each other. I noticed that his feet were too close to the water, and I wanted to warn him about the danger of black holes, but I felt shy. He was tall, like a giant. His smile was gentle, and he smelled good. Suddenly the dark water became less frightening and more interesting. “If I jump in and get lost in the other world, will you run after me to bring me back?” I asked him. and an indie-theater writer, director and actress. To make matters worse, Alex is asking Janet to get back together, and the one man she wishes would ask her out sees her as nothing more than a co-worker. Janet’s love life soon becomes the least of her worries, as she begins to suspect that Alex’s rekindled interest in her is driven by ulterior motives. She is determined to get to the bottom of things, but she can't do it alone. Janet braced herself; she had promised Lisa to get Dennis to come. The door to Dennis’s office was half ajar. Janet was about to walk in when she heard the sound of Dennis’s voice. He was on the phone. She hesitated; she was not one to eavesdrop, but when presented with an opportunity it was hard to resist. Honey boo. Janet’s face burned. What an idiot she had been to even think about asking Dennis Walker out. In her defense, she was going to ask him out for work-related purposes, but Dennis would have surely considered her invitation a flirtation. And the truth of the matter was that it would have been. Ducking her head in embarrassment, Janet rushed down the hall. Janet felt a shiver run down her spine. Could it be that Laskin had seen her eavesdropping on Dennis? “It’s on a Saturday three weeks from now.” Janet hoped that Laskin would not turn her down. Just how much mortification could a girl endure? 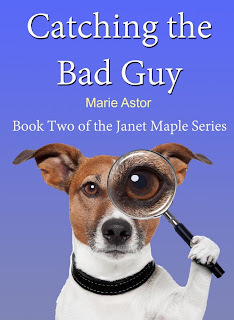 Marie Astor is the author of the Janet Maple romantic suspense series: To Catch a Bad Guy and Catching the Bad Guy, contemporary romance novels This Tangled Thing Called Love, Lucky Charm, Smitten at First Sight, and a short story collection, A Dress in a Window. 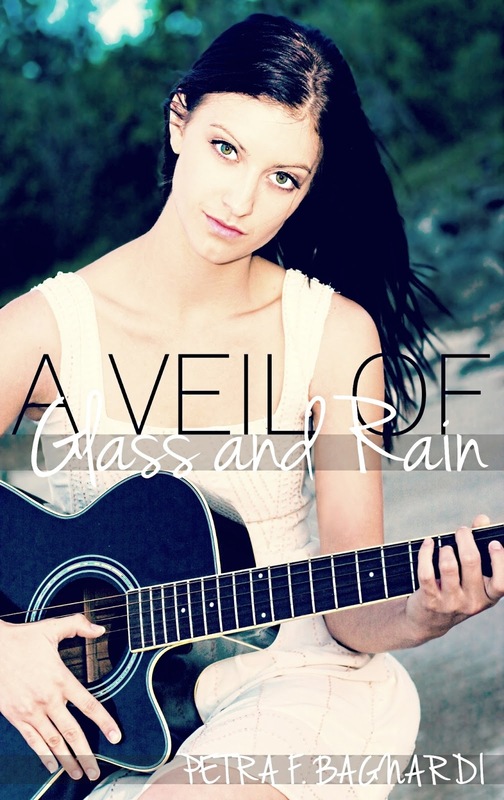 Marie is also the author of a young adult fantasy adventure novel, Over the Mountain and Back. Marie’s next novel, book three of the Janet Maple Series, is expected to be released in late fall of 2013. Join Marie’s mailing list at www.marieastor.com to receive updates on Marie’s new book releases and events. I wandered along a path as the sun began to set across the horizon, lighting the sky with deep hues of orange, purple and pinks. I didn’t know where I was, but the countryside was simply breathtaking. “Angeline, where are you?” A familiar male voice called out. “Come find me, Daniel,” she announced playfully, in the distance. Finding no one else around, I decided to head their way to ask for directions. “Where are you hiding, my love? You know I will find you; and when I do, I will smother you with kisses,” he responded, full of laughter. Their voices led me to a beautiful meadow filled with spring flowers and the sound of a river in the distance. They were dressed in Victorian fare, running playfully until Daniel caught the girl who must have been Angeline. They fell to the ground together, laughing, near a tall tree. As I walked toward them, I watched Daniel lean in to kiss Angeline softly on the lips, her hands circling around his neck and pulling him closer. I stopped in my tracks feeling like I had invaded a private moment, but I still needed directions in order to return home. “Excuse me, I don’t mean to intrude but I could really use your help,” I stated softly, so not alarm them. They continued, without even a glance my way. How rude. I cleared my throat loudly and spoke again, but no answer. I was frustrated. How could they not hear me? Suddenly, the landscape began to twist and shift into something dark and evil. I tried to turn and run but found myself unable to move. My heart began beating erratically as fear set in. A tall figure appeared before me with ghostly shadows swirling and moaning around it. It was dressed in the darkest cloak I’d ever seen, with the hood draped in such a way as to cast shadows across the few visible areas of the face, making it impossible to see who or what it was. That’s when the figure’s head tilted up and her glowing red eyes locked onto mine, sending a chill down my spine. Then the shadows began to swirl around my body, suffocating me. “STOP!” The scream came from nowhere, catching me by surprise. “LEAVE HER ALONE!” This time I recognized a man’s voice. One of the shadows grabbed my arm and a piercing, “NOOOO” sounded, from deep within my chest, echoing off all that was around me. My eyes shot open, as I bolted upright in bed. I looked around and realized I was in my bedroom. I reached for the light. Turning it on, I tried to catch my breath. My only thought was that the dreams were back and they were worse. I’d seen a witch spirit previously, but not to this extent. Wrapping my arms around my chest to calm myself, I felt a sharp pain on my right arm. 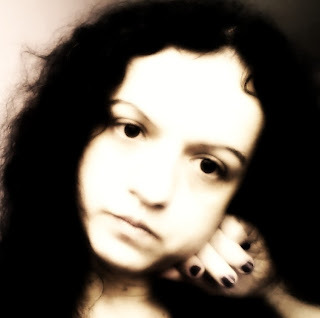 I looked down to see the reddened hand print, where the dark shadow had grabbed me, slowly fading from existence. What the heck? 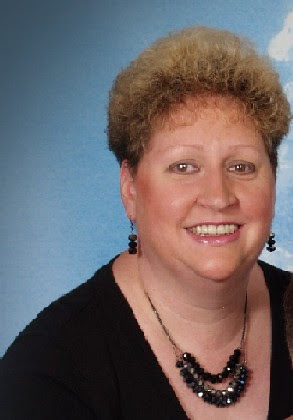 Cynthia P. O’Neill grew up in Clewiston, Florida and moved to Central Florida to attend college. There, she married her friend, love, and soul mate and still resides there with their amazing son, and a feisty, four-legged little boy. 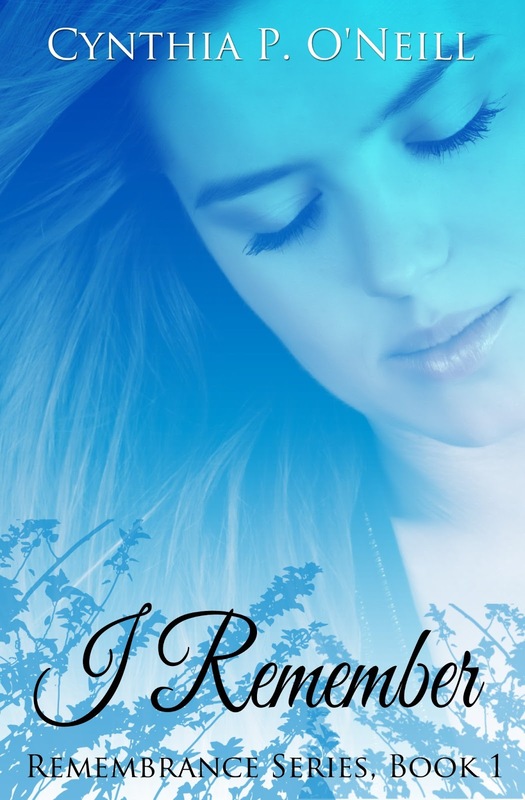 Several years after she got married, she started dreaming about the characters in I Remember. It took eight years before she decided that it needed to be told. With the encouragement of family and friends, she decided to bring Jordan and Gregory to life in a series of Young Adult, Paranormal Romances with a Historical bent. I Remember is the first book in the Remembrance series. 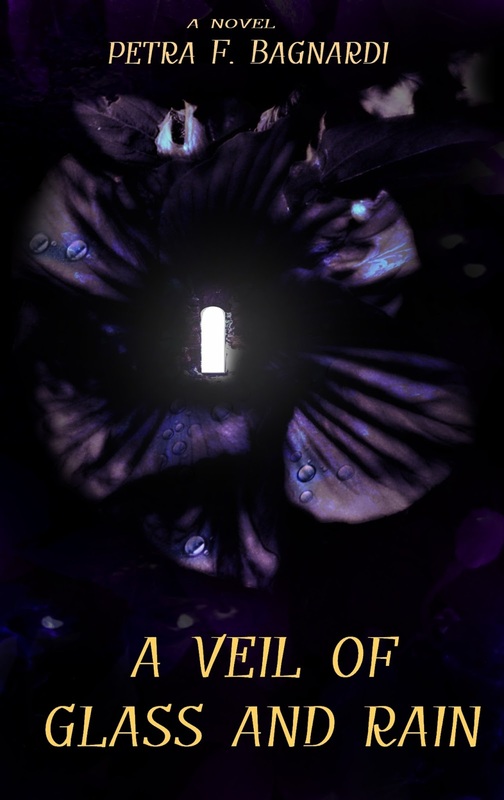 Cynthia’s first book is geared towards the Young Adult, Historical and Paranormal Romance fans. She does hope to grow as a writer and write in multiple genres. She has a steamy romance called Learning to Trust, part of the Learning Series, coming out in August. Now here's your chance to win an ecopy of one of the books. The giveaway is only open for one day!